Weaving playfully through the crowded village, a garland of flowers among flowing locks, with a flounce of skirting she turns her head smiling and then she is gone among the dust and merry din. Hands move purposefully over wet clay on a potter’s wheel, coaxing and caressing with a lover’s touch while the simple sounds of acoustic instruments play melodies forged from antiquity. Drinks are drunk, hand-made goods are traded, and light-hearted dramas play out, leather, steel, and succulent indulgence. For those who have dabbled a toe into the Northern California Renaissance Faire, the scene is immediately familiar: For a moment you have transcended the confines of the here and now and are transported to a time of simple earthiness, unbridled romance and lusty revelry. “Play Faire,” an indie movie dreamed up and filmed by Los Angeles based film maker and grownup “Faire brat,” Teo Guardino, has a warm “come explore with me” feeling about it. 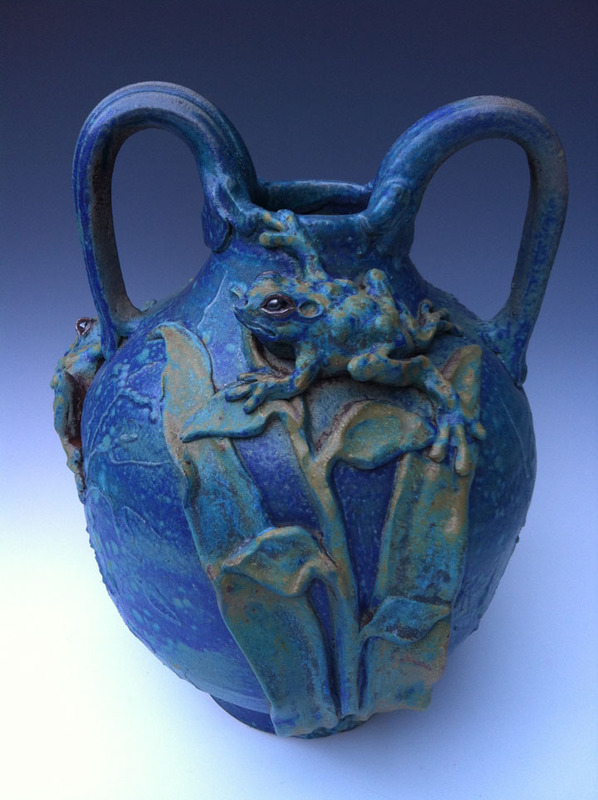 And its roots are entwined in the Santa Cruz Mountains with Boulder Creek artists and beloved friends of Faire, Dan and Laurie Hennig, owners of Hennig Studios and Camp Climax Pottery. Shot on location at Hennig Studios, the Northern California Renaissance Faire, and Santa Cruz High School, with flashes of the familiar throughout Santa Cruz County and the mountains, the film includes local musicians and features actors from Ben Lomond’s Mountain Community Theater, the Hennig clan, and of course the extended Faire family of revelers. 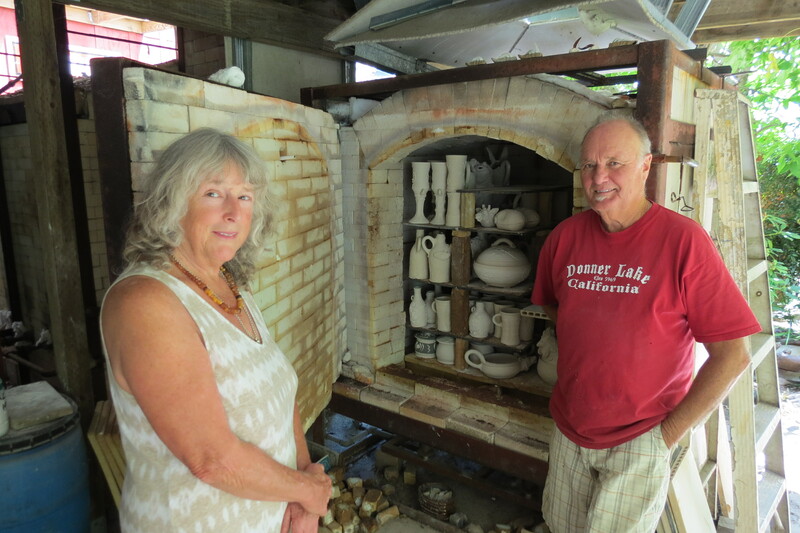 The Hennigs have been making pottery together in Boulder Creek for over 40 years. Laurie graduated from SLV High, Class of 1964, Dan grew up in Salinas. Their son, Iver, teaches ceramics at Santa Cruz High and wife, Jennifer, teaches summer ceramics classes at Mountain Arts. 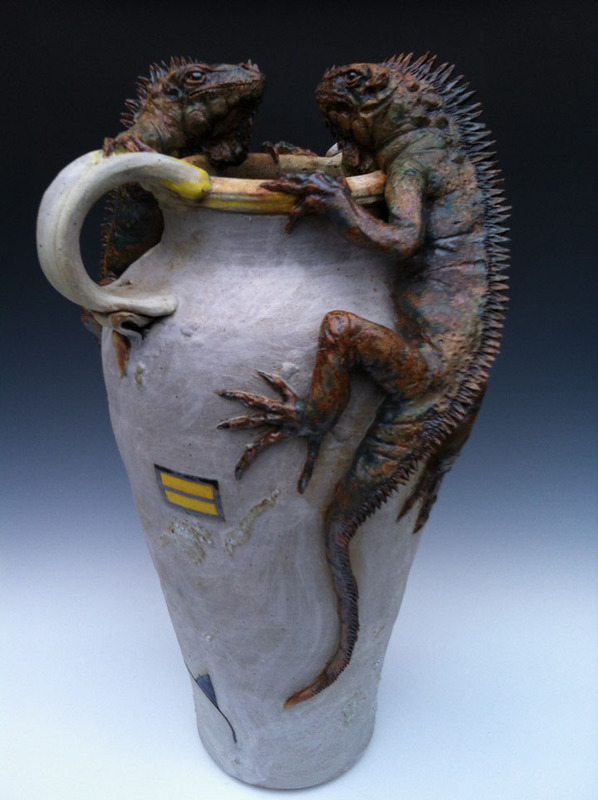 What distinguishes Hennig family pottery and compels such must-have awe is the whimsical figurative sculpture and fantastic animals adorning all manner of vessels from drinking cups to vases. They use a natural gas kiln to fire the parade of smaller pieces, and a few times a year they’ll use the enormous “car kiln” with a floor that can be rolled in and out on tracks, which makes it easy to load and fire bigger pieces. They’ve just added a much smaller electric kiln to their arsenal, which has a different firing temperature range to allow them to experiment with new glazes and color palettes. The Hennigs spend winters at their studio in Baja, CA where they go to “dry out the bones.” The work they do there is totally different, Laurie says. At home they work in porcelain and stoneware clays, but in Mexico “there’s no clay store,” so they have to process their own low-fire terra cotta or earthenware clay. They’ve settled on a mixed media approach melding pre-fired pottery figures to found metal objects like old oil cans, for instance. The middle of the summer is when they start making things for Ren Faire and Open Studios. This year they’re skipping Open Studios and plan to be open random Saturdays instead. “We’re not doing as many shows or going out so much, we’ve been putting signs out on the road to let people come to us.” A garden of wonder awaits, where clay figures emerge in animate array from every possible nook. And staying home gives Dan more time to play reggae and jazz. 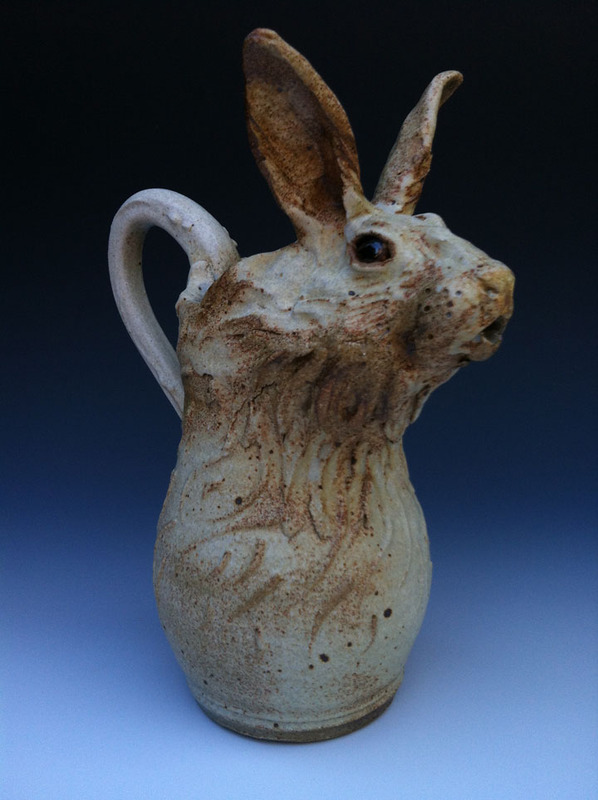 Laurie jokes that “Dan makes pottery to support his music hobby!” This year Dan is honored to be the featured artist at Mountain Arts Center Ceram-A-Rama and he promises to be “showing some major tricks” at his Saturday, September 5th workshop. The movie “Play Faire” will debut at the Center the previous evening, September 4th.